Do you have plans for the upcoming ‘big game’ yet? We normally just stay at home and make some tasty snacks and get cozy in our sweat pants and relax. I love to make a variety of foods and things to nibble on, especially finger foods. A couple of years ago I fell in love with sweet salsas after I purchased a mango salsa at the store. I decided that I needed to try and recreate something delicious for our next day of lounging. I added a slight amount of cilantro to the salsa, but if you aren’t a cilantro fan it tastes good without it too. 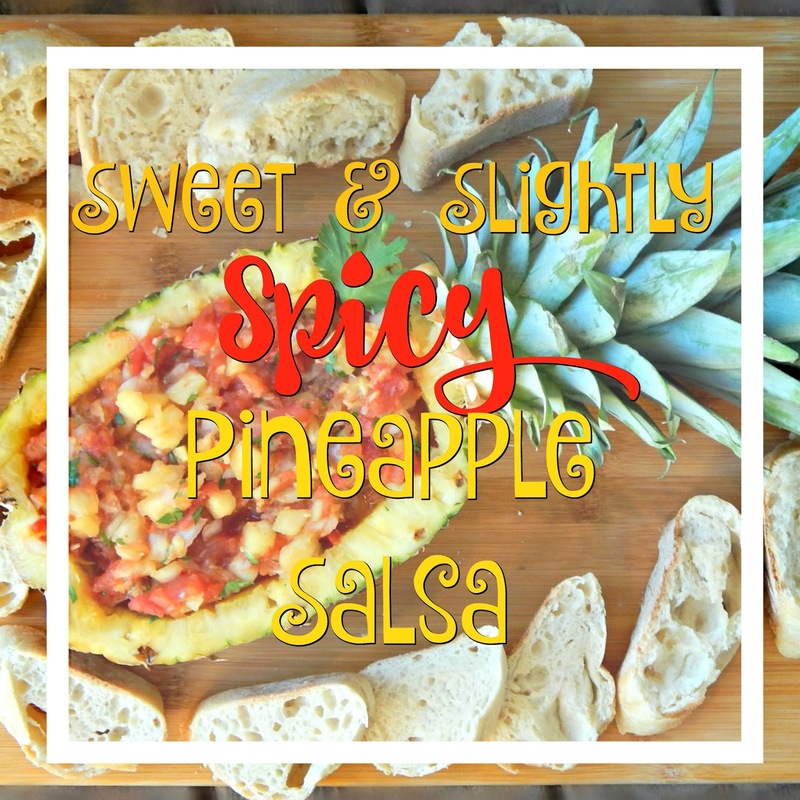 I normally don’t like too much cilantro personally, but my husband liked it in the salsa and it did compliment the sweetness from the pineapple. completely. 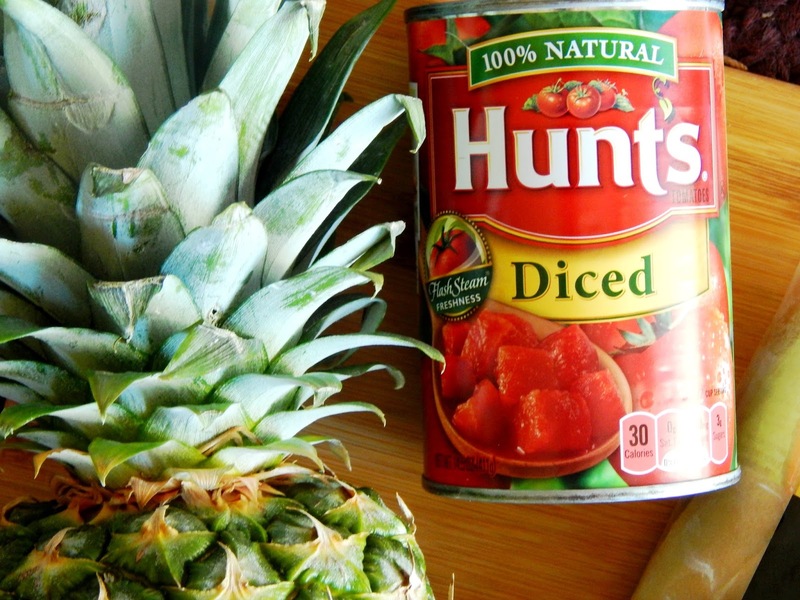 Measure approximately 1 cup of tomatoes and add to the pineapple. 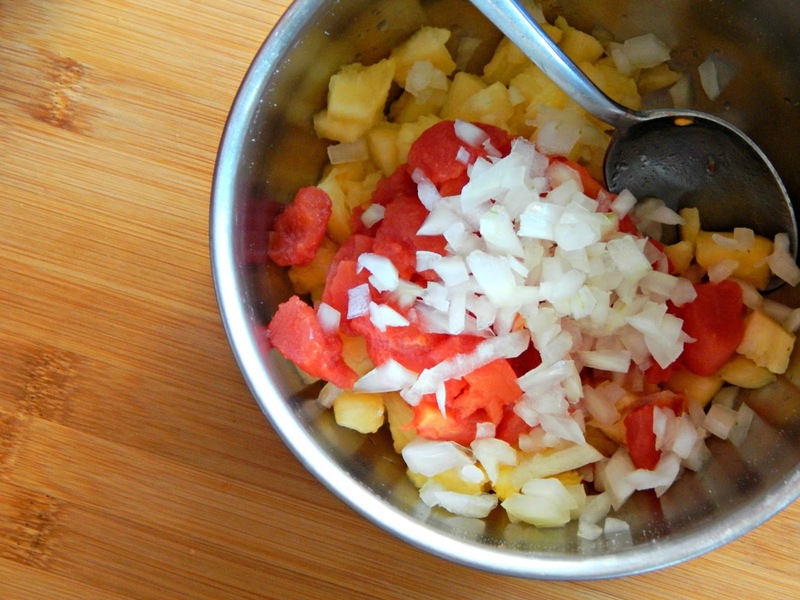 Mince onion and add to the pineapples and tomatoes. 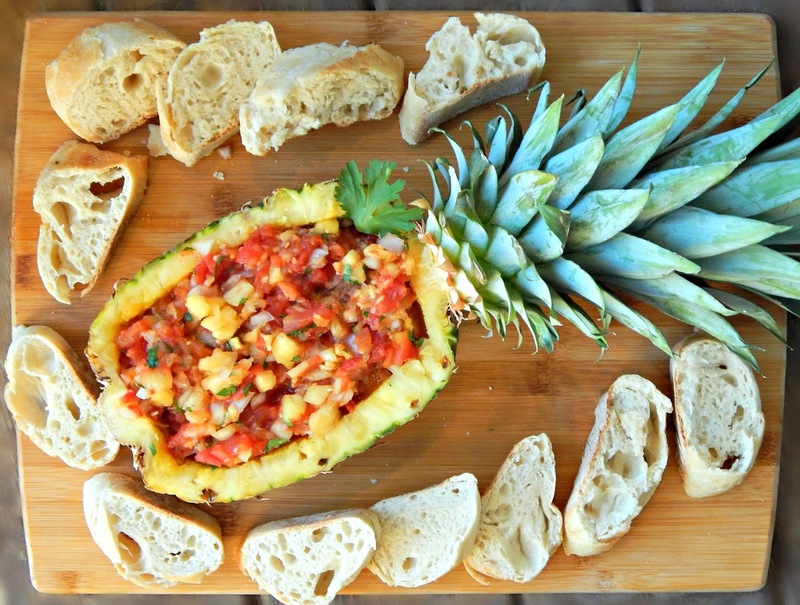 One thing you can do to present the salsa in a fun and festive way is to serve it directly in a pineapple half. Its super easy to do and a fun conversation starter if you have guests over for the big game this year. Slice the pineapple lengthwise in half, leaving the top intact. Carefully slice around the edges with a knife and then score the pineapple into 1 inch sections. Scoop out the pineapple with a spoon until you’ve reached the desired depth. I didn’t scoop out the pineapple completely, so the salsa would fill the pineapple well. 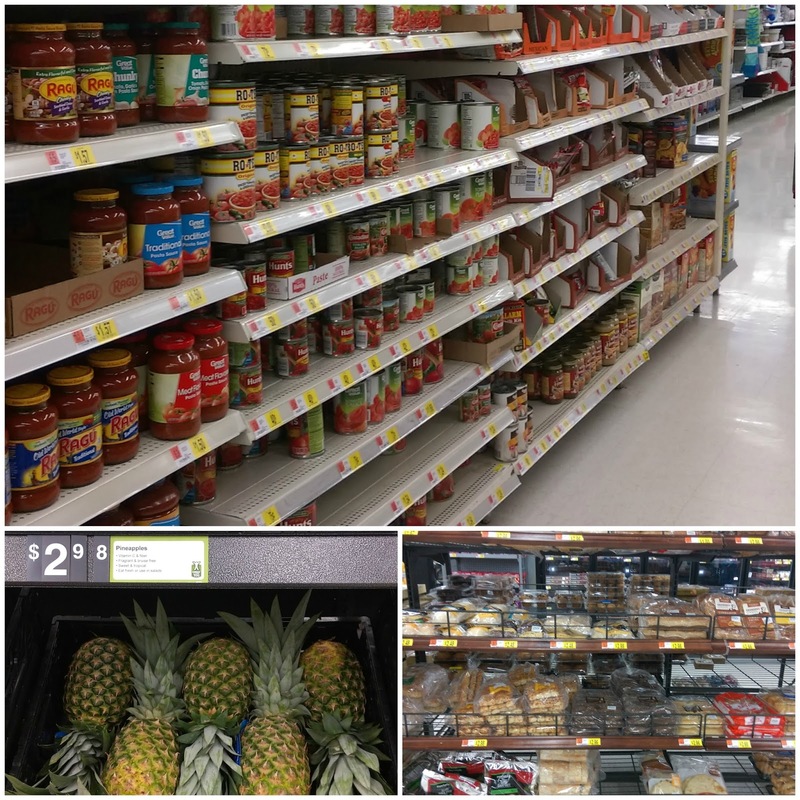 You can find Hunt’s tomatoes, fresh produce, and Market Fresh bread at your local Walmart. Do you like fruit salsa? Have you made any before? This looks fantastic and so fancy in the pineapple half, and I like that it's a healthy snack to enjoy! I'm in awe of your pineapple knife skills! I love how you used the pineapple as the vehicle for the salsa! It looks amazing! 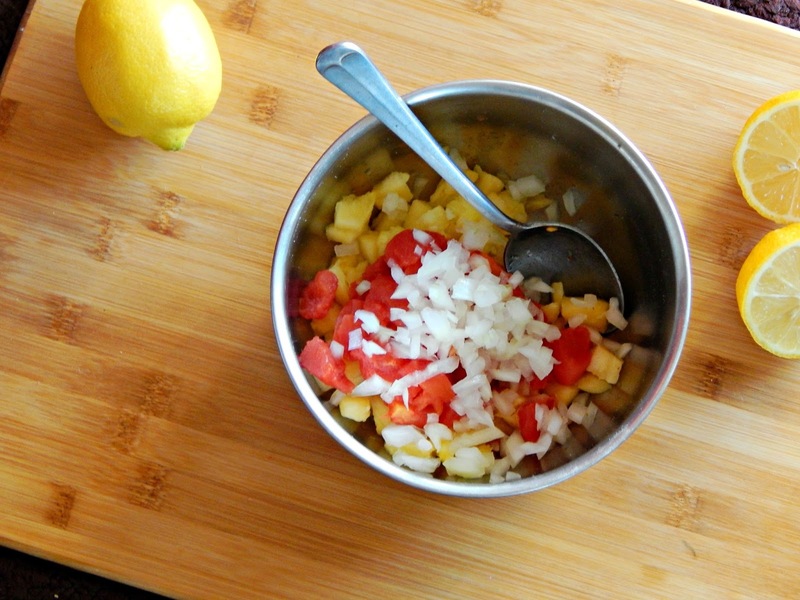 I make a mango salsa during the summer, and I just love fruit salsas in general. 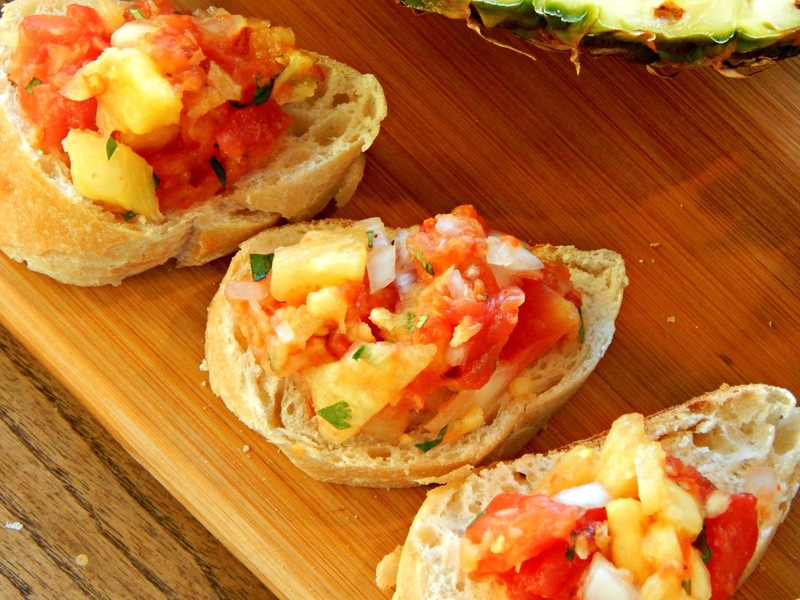 Your pineapple salsa looks delicious! That sounds delish! I wouldn't have thought to use canned tomatoes! Love the presentation, too! This looks very festive! I'm going to file this recipe for the next time I entertain! Never made fruit salsa but it looks great. Gonna try it and maybe a little finely diced jalapeno would be good in it too. With or instead of the pepper flakes. 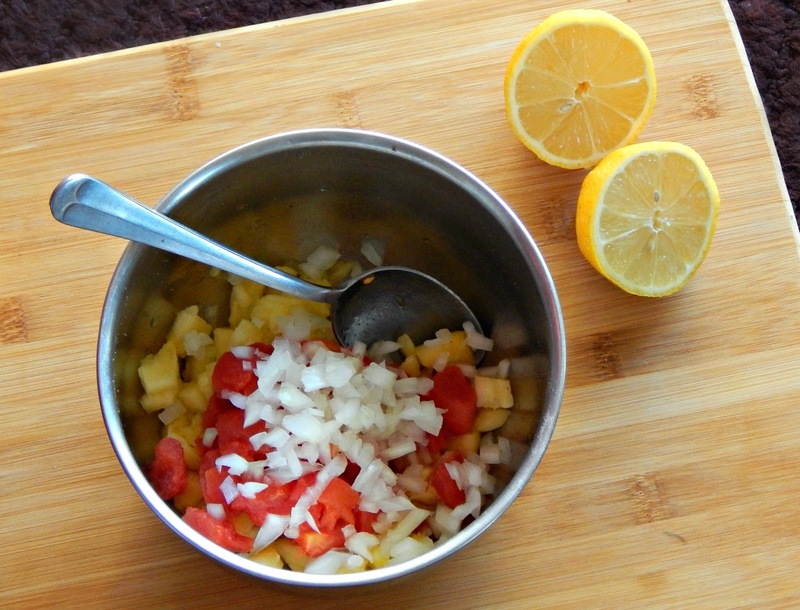 I've never had pineapple salsa before but could eat a whole bowl of this! 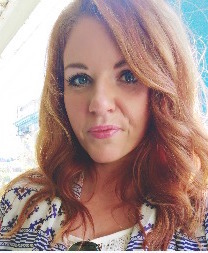 Thanks for sharing at Tips & Tricks Link Party.